Being among the few who actually enjoyed Batman V Superman, I’m really hyped for this. So here’s the box and as usual don't hesitate to leave any feedback and constructive criticism. Comment on Ulquiorra's Justice League Box Art / Cover. wow this is cool dude well done..
this is just a great, really well done box. awesome job, man. The use of images and text in combination with the star symbols are nicely done and the color tone looks great. I only think a more lighter color would look better on the headers and tagline and the synopsis could use a bit more blank space around. 1 - requests are more likely to be accepted with a "please" or something like that. 2 - if you want that much a printable for a movie that will come on blu-ray only in 2018, contact me with pm. I think the front of this is stupendous. I love the contrast. The back is also quite interesting, but that summary is way too long and squashed. I think the star motif is overdone when you apply it twice on the back. It works really well for the screenshots, but it may be overkill with the summary. However, as mentioned that may just be how it seems because of how much text there is. If you were looking to trim, I think the second part "But despite…etc." isn't all that necessary. Wow good job, this looks nice, I like the star motif throughout. 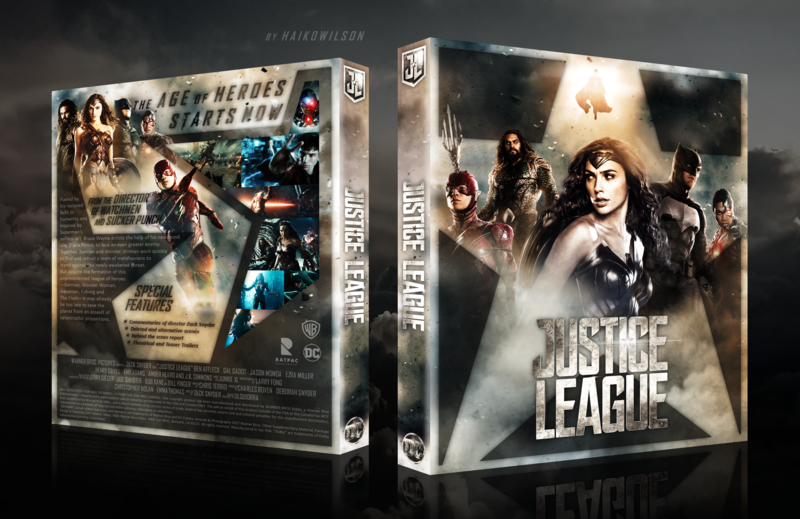 I hope Justice League won't disappoint me as much as you-know-which-film. As far as I'm concerned, only Suicid Squad disappointed me. Exec: 0.15057611 © 2004-2016 VGBoxArt.com. All rights reserved. Crafted in San Francisco by Reed.